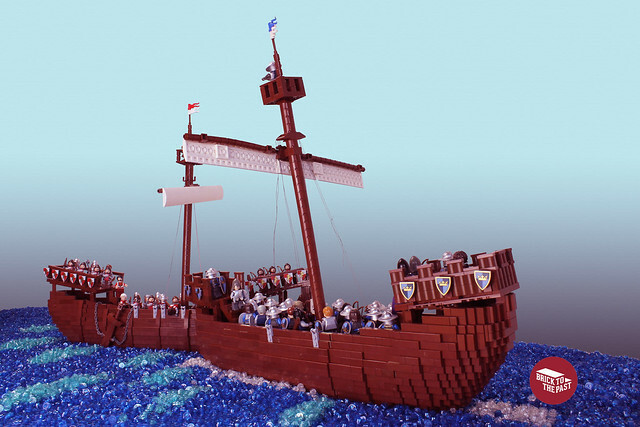 Who Needs SpaceSHIPS When You Have Medieval Ships? With the 5th annual SHIPtember already starting, many people are producing large spaceships at this time. Not James Pegrun, though! Instead, this builder is going a more classic route by building some old, medieval boats in the middle of a battle out at sea. James has done an excellent job at shaping the boats, while still keeping them smooth at the same time (so many brown tiles!). These boats are so excellently built, it will be a shame to see them crash into each other. . .